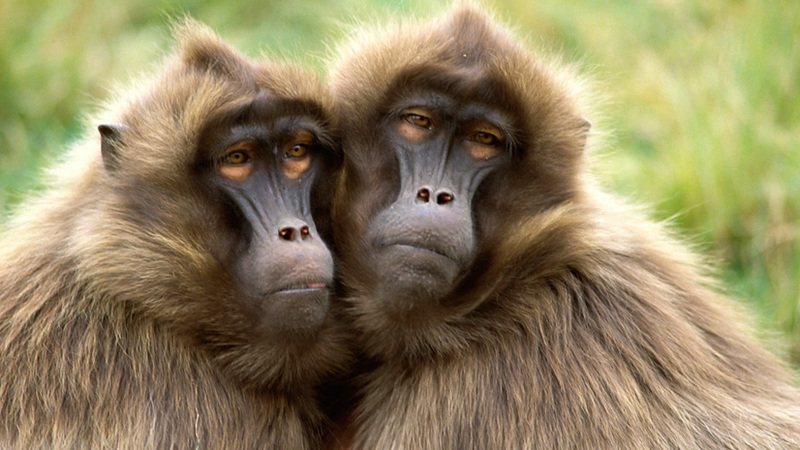 Gelada baboons have developed a complex system of social interactions to survive. They have even formed an alliance with other grazing species. Gelada baboons are the most sociable monkeys on the planet. Gelada baboons live in bands of up to 800 individuals. Gelada baboons use visual signals and facial expressions to interact. Gelada baboons form alliances with other species. Rising from their sleep on the cliffs of the mountain, along with the Sun are the gelada baboons. Geladas are the most sociable monkeys on the planet. They live and move in bands of up to 800 individuals.